Pablo Larrain’s 2016 biographical drama film, “Jackie,” released earlier this month, is a fascinating, haunting look into the life of Jacqueline Onassis Kennedy around the time of her husband’s death. It is fascinating, intimate and memorable – and a film I would recommend to all, whether you’re invested in this iconic figure or not. 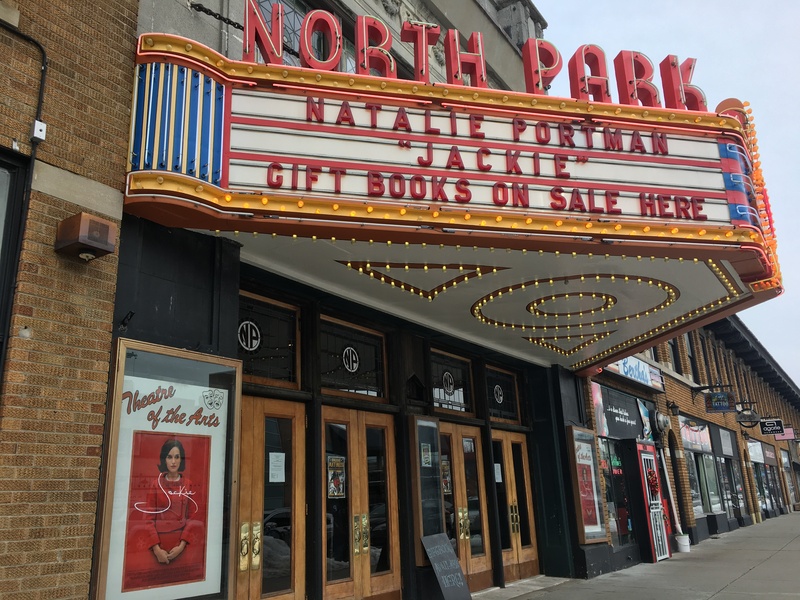 “Jackie” stars Natalie Portman as the title character, and is an intriguing look at the time in Jackie’s life surrounding her husband’s death. The film flips back and forth between the ‘present’ time, which is an interview between a reporter and Jackie in Hyannis Port, MA, and reflecting back on the 1963 assassination of John F. Kennedy. This is Portman’s first time portraying Jackie, and I think she wears it well. From the couple’s arrival in Dallas, the film segues into the assassination itself (which, as expected, is… bloody, be forewarned) and focuses largely on Jackie’s life immediately following. It moves slowly, covering the autopsy, the extensive funeral plans, his lying in state at the Capitol, the shooting death of Lee Oswald, even his burial – and his late children’s – at Arlington. The timing of the movie was very interesting to me, because in reality, the majority of it focused on the three or four days between the assassination and the funeral — all with the backdrop of the Life magazine interview. And of course, the film doesn’t leave out her infamous pink suit that she wore the day of the assassination. Having visited Washington, DC for the first time just a few short years ago, I really found this film touching. The scenes in Arlington — I said “I’ve been there, I’ve seen the graves, on that hill, just like where they stood in the movie.” It just really touched my heart, being able to connect something I’ve seen in my real life to something in the film, and it left something tangible with me. Overall, the film portrays Jacqueline as so much more than just a First Lady, or a style icon (which she certainly was). It offers a look into her life, really. Her life as a mother; as a grieving wife; as a woman in charge. It was fascinating, haunting, chilling….. and so much more. Perhaps what I found most interesting was how much this really focused on Jackie – not her husband, not the country, not anyone else, but her. It turns out this was Larraín’s first film centering on a female protagonist, and I really enjoyed it. It was refreshing to see the focus really be on her – even though the entire film wouldn’t have happened without the assassination of him. We see him only a few brief, fleeting times in the film, and really, it’s all that’s necessary. Make the time to see this one – you won’t want to miss it. As an afterthought, I’m now looking into some reading about Jackie! So far, I’ve got the following books on my to-read list: Jacqueline Bouvier Kennedy Onassis: A Life by Donald Spoto; America’s Queen: The Life of Jacqueline Kennedy Onassis by Sarah Bradford; and What Jackie Taught Us: Lessons from the Remarkable Life of Jacqueline Kennedy Onassis by Tina Santi Flaherty. If anyone has any other suggestions, let me know in the comments.